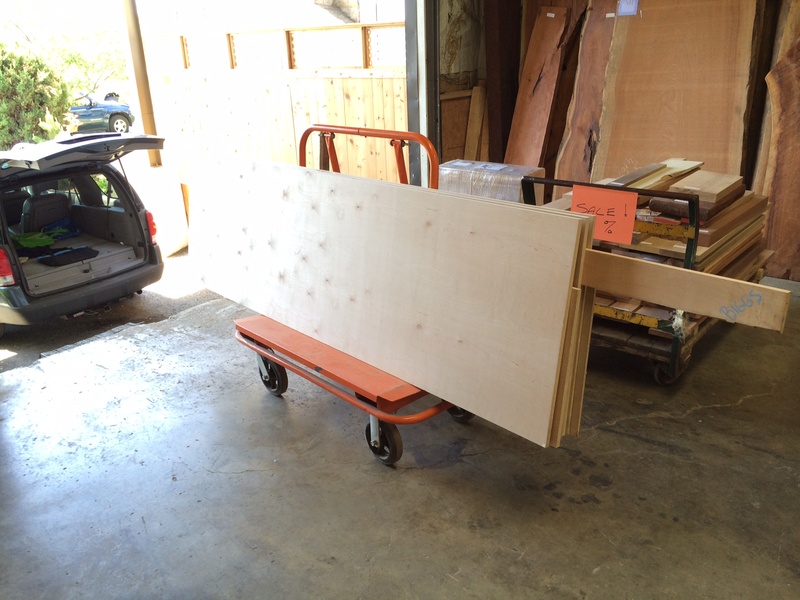 I picked up the plywood for the project earlier this week. Based on the plans I’ve assembled so far I’m using 2 4×8 sheets of 3/4″ birch ply, and 1 4×8 sheet of 1/2″ birch ply (for drawers). I got more than I needed, as it’s cabinet grade material, and I’ve always got a use for that around the home. 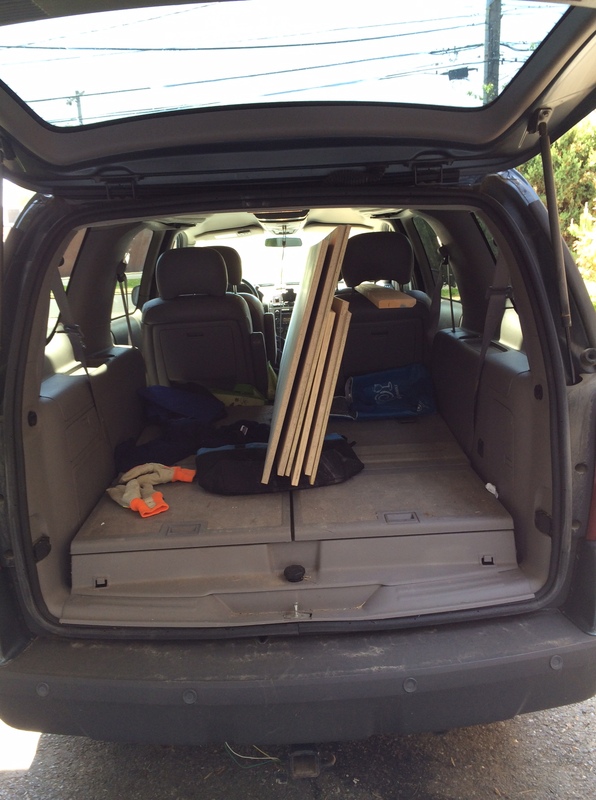 While I have a trailer, I went ahead and had the sheet ripped at 28″ each, and I know they will fit in my wife’s mini-van, so that’s how I’m handling the transport. The saw cabinet has not been fully reassembled, so the first order of business will be to remove the saw (again. ugh!) 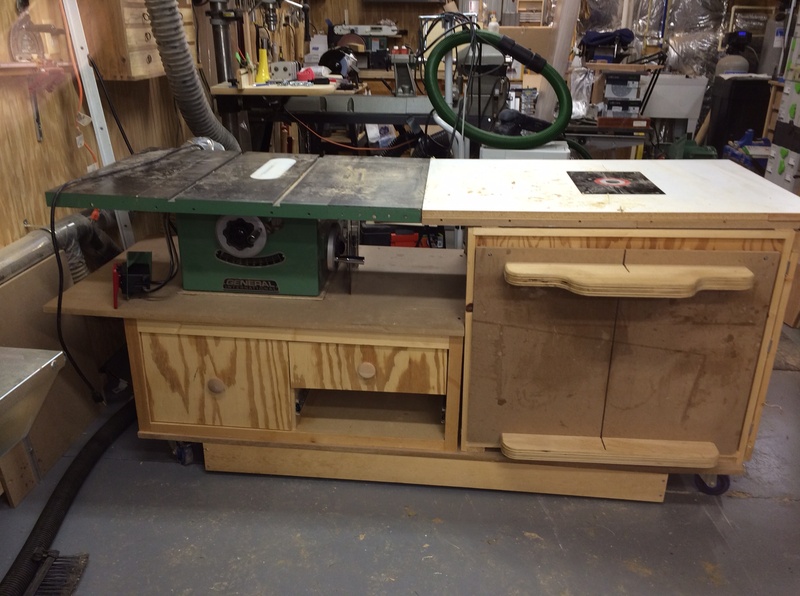 Then take off the saw cabinet, then take off the old router cabinet. I expect to get those unpacked, and off loaded, and then remove the old cabinet base (the MDF sheet that delaminated). You can see the delamination here, just above the screws in the under frame. Since I’ve lost the use of the table saw, I’m going to be using the track saw to do most of the cuts. I’m also planning to use a home made track guide to use with the router when I cut the dado’s. I will use the router’s fence to cut the rabbets. I have a 4×8 sheet of 1″ hard insulation that I’ve cut into to 4×4 pieces which are hinged with duct tape to use as an under lay when I use the track saw. It’s seen a fair amount of use over the last year, as I’ve used it to layout and cut sheet goods for several projects, especially since man handling a 4×8 sheet around my shop by myself is simply not a good idea anymore. 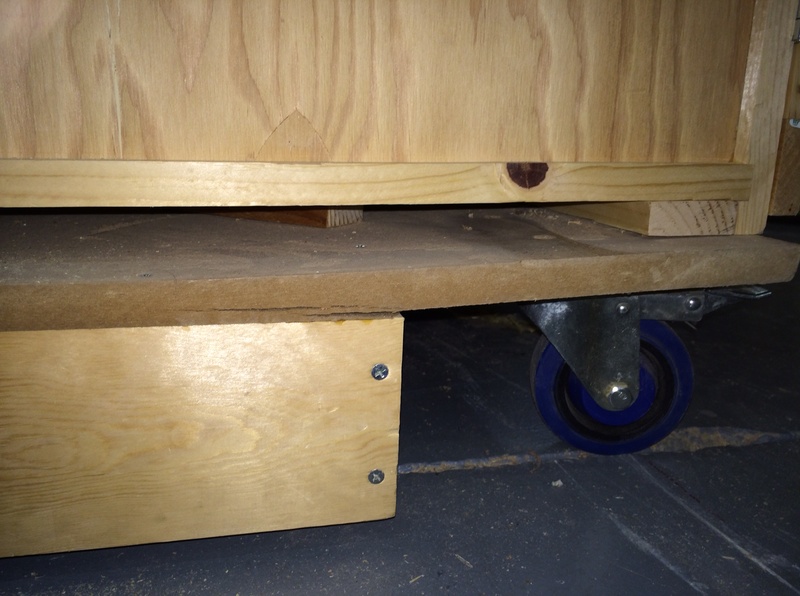 I drop the under lay in the rec room, and use the track saw with vacuum to keep the mess to a minimum. Once I cut the pieces down to manageable sizes, I take them back into the shop to complete the milling.